IDBI Bank has conducted online test today on 28th April 2018 for the recruitment of 760 Executives. Now Exam is Over. 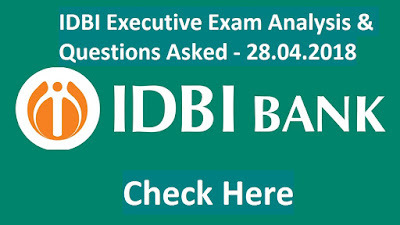 We are sharing IDBI Executive Exam Analysis & Questions Asked in the exam. 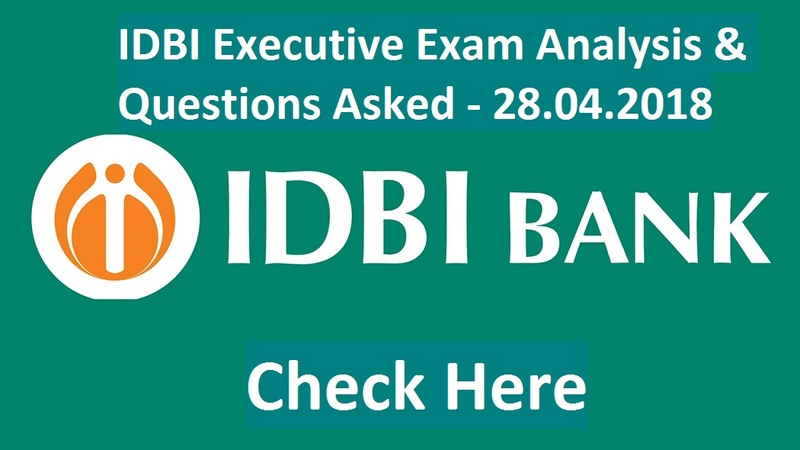 Overall difficulty level of IDBI Executive Exam 2018 was of moderate to difficult. Test of Reasoning was little as compared to Test of Quantitative Aptitude. Test of Quantitative Aptitude was of moderate level. Test of English Language was difficult.